I’m just dropping this post here to document my current thoughts on Kickstarter campaigns that are based on bringing a new product to market. For a bit of background, see this Google+ post as well as this one. There’s nothing wrong with using Kickstarter to fund an idea for a product, but as more and more people do it, we may see people who have no experience bringing a product to market, and when we combine that with more and more people thinking of Kickstarter as a marketplace for products where you pre-order them, well… I see some problems. I’m going to toss out a few examples, but I don’t want to come off as negative to any project, so with that said, here we go! I’ve been following the Trigger Trap project and while I didn’t back it at the level to get a final product, I do watch the updates, including the most recent one. There’s some talk of a scam, and no legal recourse with foreign manufacturers, and tolerances and what not. There’s also a lot of not entirely happy people. On the side of the campaigners, they may have done a few things wrong, especially with the math, not just for the manufacturing of their cases, but with shipping calculations, how much they’d need to not lose money, and quality assurance. From the point of the backers, some are frustrated. They’ve been waiting for a final working product, and it’s almost there, but now there are more delays. Urgh. Delays can be common even if you know what you’re doing. I backed the Sensu Brush and I saw delays, and I just shrugged it off because I know how a lot of these things work. Artist Hardware, the folks behind the campaign, describe themselves as “a design consultancy focused on creating consumer products for artists and crafters. We build it all from concept to shelf.” So they aren’t just some guys in a garage with an idea for a product, they’re professionals, and they still hit a bunch of problems! It happens. It happens every day in business, and with personal projects, and with Kickstarter campaigns. The key is planning for it. 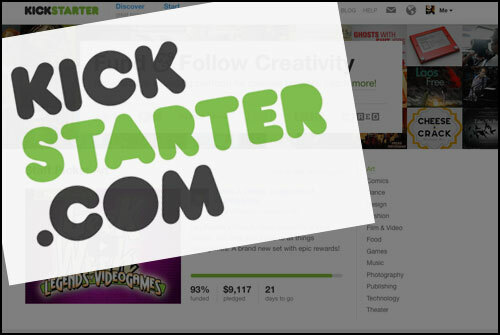 Kickstarter campaigns can limit the number of backers at specific levels, right? so maybe more people should use that feature. Sure, you want to be successful, but that doesn’t always equate to having a giant pile of money, especially if you don’t know what you’re doing. (That’s not an insult, we all didn’t know what we were doing at some point, and there are still a ton of people who do not know how to bring a product to market.) Let’s say you limit the number of backers you need to just over what you think you might need for an initial run of a product. If things go pear-shaped, and you somehow make nothing (or even worse, lose money) you’re not out quite as much. And, you probably have less people pissed off at you. But I think the problem is that everyone wants more money because people equate money with success. Of course Kickstarter and Amazon (the payment processor) want more money because that means more profits for them. If you’re the campaigner having more money may seem appealing: Volume discounts! More sales! And so on… but that may not be the case. About a month about I wrote about beam systems, and one of them I mentioned was OpenBeam, by Terence Tam, who was kind enough to leave a comment on the post. Go listen to Episode 40 of Engineer vs. Designer right now, and then head over to blog.openbeamusa.com. This guy knows what he’s doing. If you’ve read any of my Maker Business posts (here’s the more recent) you followed along with some of the things I learned in bringing a product to market. I’m glad I went self-funded and small scale, as it allows for learning and (not very costly) mistakes to happen. If you are doing a big project, don’t do it alone! Determine your weaknesses, and then find people you trust to supplement the skills you are lacking. Posted on Friday, May 11th, 2012 at 6:00 am. Subscribe to the comments feed. Both comments and pings are currently closed. Post on your own blog.